In this week’s reads: Facebook wants to get into your car, Nike tracks your heartbeats, Apple’s iBook Author shakes the bookshelves, and William Gibson makes a not-unusual cameo appearance. Metaphors are useful, as they enable the thin skein of connectivity between bodies of thought; yet they are also a leaky mechanism, potentially losing much richness from original concept to translation. Is serendipity just the playing out on the human level of the same emerging, patterned self-organization that drives evolution? This one is a bit heavy on the philosophical side of things and yet, our cultural perception of time is a highly important topic. It’s heavily correlated with our ability to change and how to allow new patterns to emerge. Joshua Benton looks at Apple’s presentation of their iBook Author and discovers developments with far bigger consequences than just for education. Nike introduced the next iteration of their quantified self system Nike+ on Thursday, with an armband that tracks steps, calories and movement and puts it all into their own activity score labeled NikeFuel. We’d rather have them go with something like the Basis watch, that just shows and helps interpret your measurements instead of locking you into another closed system. Facebook is extending to new platforms, namely TVs and cars. These announcements around CES are an indicator of the ever-increasing overlap of some so-far largely separated spheres. Publishers and broadcasters have long been looking into getting their products ready for Social Primetime. More recently, the automotive industry has realized that the cars they build should be made a platform – CarOS, so to speak. Getting a slimmed-down version of Facebook on your Mercedes Benz is one early step into that direction. It’s a William Gibson interview. How can we not link to it? From data to better living. This is the first article in our series on the Quantified Self. This is the first article in our series on the Quantified Self. Data is at the core our lives in the information age. It’s one of the essential ingredients to how we work, make decisions, communicate and much more in the 21st century. Data is the most raw and abstract form of information, that has the power to change anything. From the decision of what to wear today by checking the weather forecast to buying or not buying stocks based on company metrics to whether to wage war or not according to data collected by an intelligence agency. That’s why we as a society have become obsessed with data. From the political campaign that lives and dies by the latest polling data to the sports fan who pores over statistics, we just can’t get enough. Data helps to empower us and and to make us capable of making better-informed decisions. It can be a guide and a backup. That’s why we’re collecting more data then ever. Collecting data used to be tough. Data can only be used if it’s captured properly, and that used to be a very manual process. Basically, someone had to check the data source and write the values down. Data reveals most insights if tracked over time. The difference between read-outs from different points of time shows us what changes. And change is usually what we’re most interested in. Over the last decades with the rise of digital technology and networks, the possibilities to automatically capture, store and process data have increased enormously. For examples, where nurses used to need to measure their patients’ data points like heart rate and temperature manually, they now have machines capture these vitals constantly and inform them about changes within milliseconds. What began in medicine, science and big industries is now trickling down into our daily lives. The technology needed to capture and track data sources automatically is becoming smaller and more connected. We now have the same kind of sensors that trigger airbags in cars – motion sensors – in our phones. Our gadgets are becoming big data gathering machines, lowering the effort to capture data considerably. All of a sudden, we are able to capture more personal data like never before. Now, that we’re able to capture and track tons of personal data with ease, we’re finally able to make much better informed decisions about our personal lives. Because as it turns out, we’re actually quite bad at remembering and assessing our daily behaviors. How much coffee did I have last week? How long have I been in a foul mood already? How much did we spend on snacks? Our memory is terrible for questions like these. That’s were actual data helps us. If we discover that we have 5 cups a day on average, we can decide to go easy on the coffee. One of the core concepts for this is called feedback loops. It’s what turns hybrid drivers into hypermilers because they see their gas consumption in real time. Displayed data about about our behavior gives us the opportunity to adapt our behavior. But not only can we make better decision. By gathering all kinds of data, we can relate them to each other and create new insights. For example, we can discover that our mood changes when we had more than 4 cups of coffee, or that our spendings on snacks go up when we had less than six hours of sleep. With personal data, we can learn much more about how our bodies and our behaviors actually work. And then we can make better decisions to improve our lives. This is what a rapidly growing group of people is fascinated by. They call it ‘The Quantified Self’. In 2008, Kevin Kelly and Gary Wolf noticed that more and more people around them were starting to track all kinds of data about their lives. Some of them would capture more than 40 data points from their personal life on a daily basis. So they started the first Quantified Self group in Kelly’s house. Today, there are 44 official QS groups around the planet. 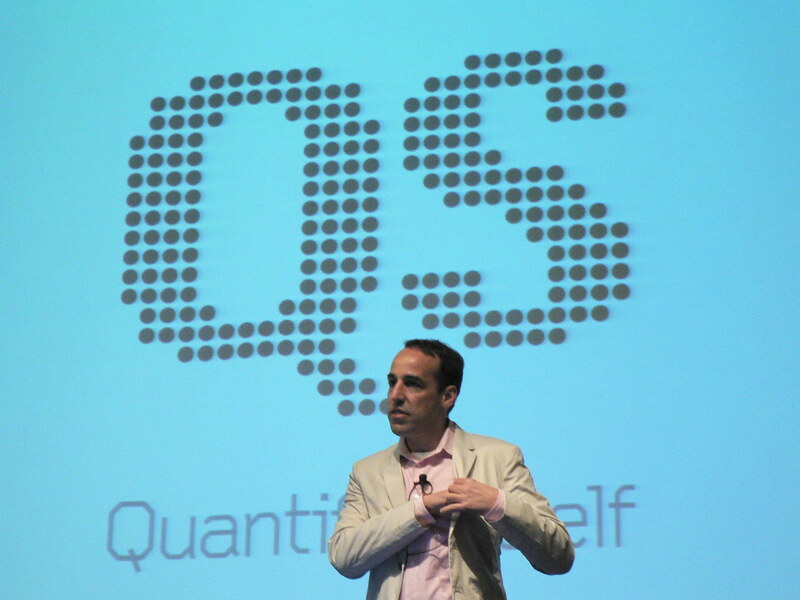 In May 2011, the first QS conference was held in Mountain View, California. The second conference will be held in Amsterdam this weekend. These are the pioneers of self-tracking. They go to enormous lengths to capture their data. Some of them walk around with sensors attached to their bodies. Others fill in endless spreadsheets each day. But what may seem like obsessive acts of data nerdism to us is just preparing the way for Quantified Self to become mainstream. And this is happening rapidly. A few years ago, to understand your sleep patterns, you would have to check yourself into a sleep clinic and get attached to an array of machines. Today, you can buy a 100 Euro device that has the size of a small alarm clock and sits on your night desk. While you sleep, you strap a small band over your head that tracks your sleep patterns. That’s it. A lot more devices for all kinds of daily activities are released these days and are advancing the Quantified Self movement to the general public. The success of the likes of Nike+ and Fitbit shows the direction we’re heading. With more devices and apps being released, the capturing of personal data turns from a manual, mundane task into an unobtrusive, mostly automatic process. But collecting the data isn’t enough. 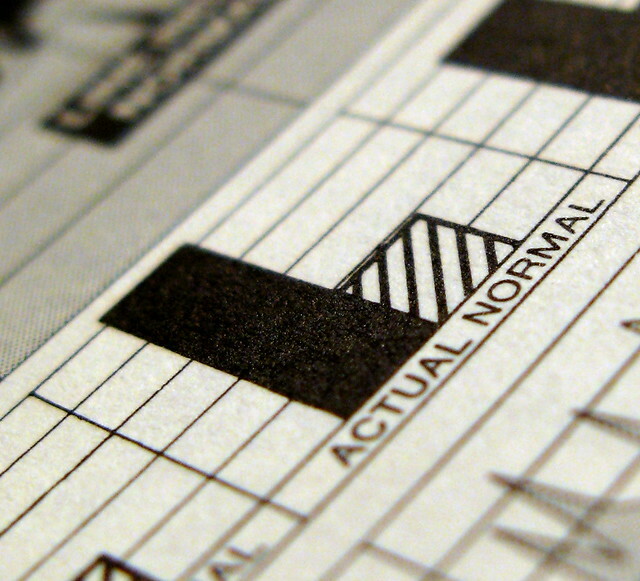 To understand the long columns of numbers and make sense of all the data, we must analyze it. And that’s what the focus of the Quantified Self movement is turning to. There are two main approaches to create insights out of data. The first one is about visualization, and it’s much broader than just in Quantified Self. We’re all looking for better ways to create meaning out of the mass of data we produce. Visualization is one of the tools used to tackle this. Infographics and all kinds of colorful diagrams are all over the media. And for good reason: A good visualization helps us comprehend the essence of massive amounts of data at a glance. It highlights the most interesting points and provides context for interpretation. Developing visual tools to deliver insights based on the data they track is one of the big challenges for the companies dabbling in the Quantified Self, and the QS movement at large. This will be a key driver for people to adopt QS. The other approach is sharing data. The social web has made it much easier to share anything with family, peers and complete strangers. The Quantified Self movement is big on sharing, as many insights can only be discovered through aggregated or shared data: Is my sleeping pattern normal for a person with my lifestyle? How much are others spending on groceries per month? Sharing data with others helps us to put ourselves and our behaviors into the context. Sharing is a powerful way to behavior change: We’re much more willing to follow up on our decisions to change something if we have shared our intentions with others. We hold ourselves accountable with the help of our data. For companies that offer devices and apps to gather data, there is huge opportunity in providing their customers ways to connect data and provide extra value around it. Obviously, there are very relevant privacy implications that companies in this field need to be aware of when dealing with that kind of personal data. We think that finding the right balance between several aspects of the QS experience is what will determine which companies will lead the field. More concretely, it’s about finding the sweet spot between ease-of-use, unobtrusive data collection, insightful formatting of tracked data, and hosting a lively community that provides support and helps deal with the emotional side of things. Whoever nails all these points will have the chance to build trusted relationships with their customers. Stay with us while we dive deeper into this movement that has great potential to make our lives better through fascinating technology and inspiring ideas. A week packed with Next Conference curation, a panel on the future of education, a Third Wave retreat, a blog series on the Quantified Self and some updates on Cognitive Cities. Phew, what a week. What a month, really! Turns out November is easily one of the busiest months in the year, that much of a pattern is becoming obvious. Not that we’re complaining, quite the opposite. So what’s been happening? Igor had been over in New York and San Francisco for the better part of two weeks, to meet a whole bunch of awesome people and attend Science Hack Day. He summarized his trip in last week’s weeknote. Now he’s back, and we hardly had time to catch up before throwing him right onto a big pile of projects we’re working on. Good to have you back, buddy! We’re glad we get a chance to curate and host two tracks at the Next Berlin Conference next May. On Monday, the curators met up for the first time, and I can tell you, it’s a good group of folks. More on our ideas for the program soon. But I can give you a tiny glimpse already: We’ll be featuring experimental, innovative topics ranging from the Quantified Self to digital alter egos, from Arduino hacks to the Internet of Things. Also, some hands-on stuff to tinker. And a best-of of the user votings of sorts. Speaking of which – you can still submit proposals here. We’re still digging deep into the inner workings of both our client, Postbank, and the ins and outs of the whole digital banking sphere. The whole sector is changing rapidly, and we really want to understand it from the ground up – of course, as always, with a focus on the digital strategy and social media aspects. Wednesday night I was invited to join a panel on the future of education, and how coworking can learn from and inspire more traditional learning institutions. The panel was the first of a series of salons with an education focus, and quite good fun. I was baffled & inspired most by a school project that I hadn’t been aware of before – a school where the students learn very self-directed and autonomously, and are not treated like someone to watch, but someone to assist in their own endeavors. What better place to learn about education than while actually being on a panel about the very topic? Audio recording of the salon might be up on the salon page at some point. Sticking to our well-established tradition of going on regular retreats to think freely about the future of Third Wave itelf, we headed for a few days up to the Baltic Sea. We rented a cozy place up on Usedom to talk strategy, business development, optimization, vision – and which fish restaurant to frequent, of course. We’ll be talking more about this over the next few weeks and months, but the gist is: We’re still learning, and fast, and we’re headed in the right direction. As for CoCities, we’ve been thinking hard for quite a while. Where to take the brand, how to further develop the topic? We’re all sure we’d like to dig deeper, to work in this emerging field, to keep thinking and exploring. Which shape this is going to take isn’t one hundred percent clear yet. Pending a number of very interesting conversations we’ve set up for the coming weeks, we might leapfrog the topic, or take smaller steps. One thing is becoming clear: There isn’t going to be a big CoCities Conference in 2012. We simply won’t have the time to put it together in a way that would match or top this year’s CoCities Conference. 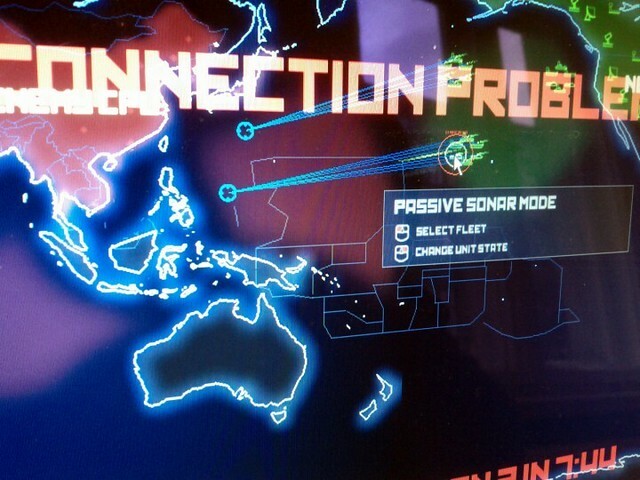 That said, over the next few weeks we will have some updates, which might be very exciting if things work out. Follow this blog and our Twitter accounts @thirdwaveberlin and @cocities for updates. Today, we’ll kick off a series of posts about the Quantified Self and body tracking. Over the next few days and weeks, watch the list of posts grow here. Over the weekend, I’m also going to be at Quantified Self Europe Conference in Amsterdam.